Jackson, J. A. "Ivory-billed Woodpecker Campephilus principalis principalis." In Rare and Endangered Biota of Florida: Birds, edited by J. A. Rodgers and H. W. Kale, II. Gainesville: University of Florida Press, 1996. Moore, W. S., and V. R. DeFilippis. "The Window of Taxonomic Resolution for Phylogenies Based on Mitochondrial Cytochrome b." In Avian Molecular Evolution and Systematics, edited by D. P. Mindell. San Diego: Academic Press, 1997. Sick, H. (translated by W. Belton). Birds in Brazil. Princeton: Princeton University Press, 1993. Snow, D. W., and C. M. Perrins et al. 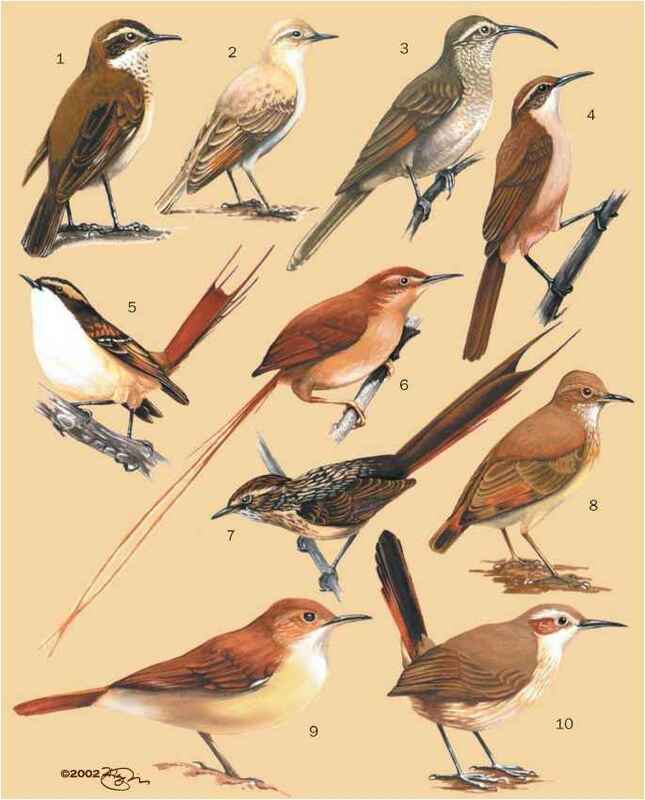 The Birds of the Western Palearctic. Vol. 1. Concise edition. Oxford: Oxford University Press, 1998. Winkler, H., D. A. Christie, and D. Nurnie. Woodpeckers: A Guide to the Woodpeckers of the World. Boston: Houghton Mifflin Company, 1995. Jackson, J. A. "Red-cockaded Woodpecker Picoides borealis." Birds of North America 85 (1994). Bent, A. C. Life Histories of North American Woodpeckers. United States National Museum Bulletin 174, 1939. Lawrence, L. D. K. A Comparative Life-History Study of Four Species of Woodpeckers. AOU Ornithological Monographs No. 5, 1967. Short, L. L. Woodpeckers of the World. Greenville, Delaware: Delaware Museum of Natural History, Monograph Series Number 4, 1982. Tanner, J. T. The Ivory-billed Woodpecker. Research Report Number 1, New York: National Audubon Society, 1942.